Political observers have recently been trumpeting the Turkish Model, citing Turkey's democracy, its open-minded Islamists and economic zip as an example to newly liberated Arab nations and other Muslim countries. In the 18th century, however, its capital presented a less positive model. The Istanbul of that era – with waves of migrants, an underclass of servants and unskilled laborers, overburdened housing stock, dirty slums abutting elegant mansions, high levels of petty and violent crime – looked much like Dickensian London. "The scholarship has kind of put all cities in the Middle East in the category of 'Islamic cities,' focusing on Islamic institutions and drawing a hard-and-fast line between these cities and European cities,” says Fariba Zarinebaf, professor of Islamic studies at University of California, Riverside. In Crime and Punishment in Istanbul, 1700-1800, Zarinebaf uses court, prison and police records, surveys, imperial orders and a variety of Ottoman narratives to map the city's criminal activity. 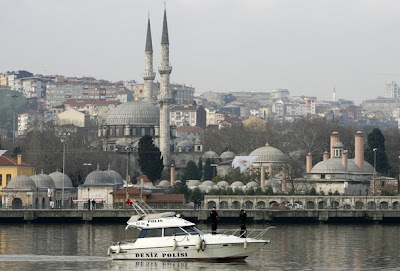 She also highlights Istanbul's importance as a port, its layered history and its great diversity. "It was so much more diverse than any other European city," she says. "It's the most cosmopolitan city in the Mediterranean world."